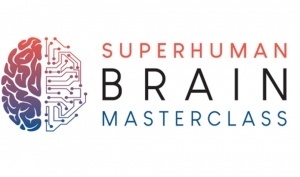 The Superhuman Brain Masterclass is online and FREE from December 3-9, 2018. Register Now ! Your brain is under attack — disorders like depression, anxiety, headaches, ADHD, memory loss, epilepsy, dementia and other neurological disorders are MORE prevalent than ever before! Get the SUPERhuman Brain MASTERCLASS UPGRADES to prevent and heal from these attacks! The Superhuman Brain Masterclass  is online and FREE from December 3-9, 2018. Brain diseases and disorders start 15-40 years before they’re diagnosed. We’ll teach you the best ways to prevent these disorders by upgrading your brain to SUPERhuman. Plus, you’ll gain increased energy, mental clarity and heal rapidly by leveraging existing technology, nutrition and advanced solutions for next-level brain performance. The world’s top neuroscientists, brain researchers, doctors and biohackers have gathered to provide you with proven solutions to heal and upgrade your brain to “high performance” for life!